Watch the event live here. The event will be held at the Yerba Buena Center for the Arts and kick off at 10:00 am PT. OK, time for a bit of fun/speculation. Anyone else see a hint of a “5″ in the shadow of the “12″ there? 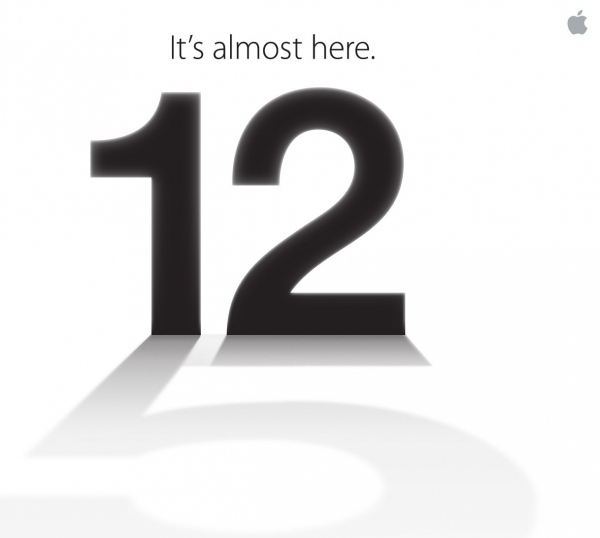 Is Apple telling us that the next iPhone is going to be called “iPhone 5″ or is the Cupertino giant just playing with us?